While most dineLA restaurants opt for the typical 3-course meal, Palihouse diverges a bit from the path. Instead of separate appetizers and main courses, they offer a range of options and you get to choose three of them. They also throw a dessert in, so it appears to be money well-spent. 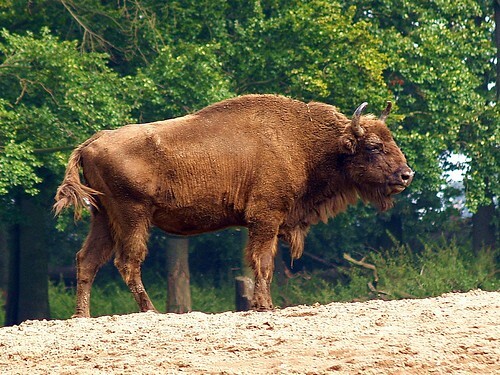 Yet, despite the array of choices, only a couple fit into an unvegan diet. The first was the Steak Frites, the second was the Chicken Apricot Pot Pie and the final one was the Pork and Truffle Pate. I’m not much of a pate guy, so I had to get a little creative for my third choice. 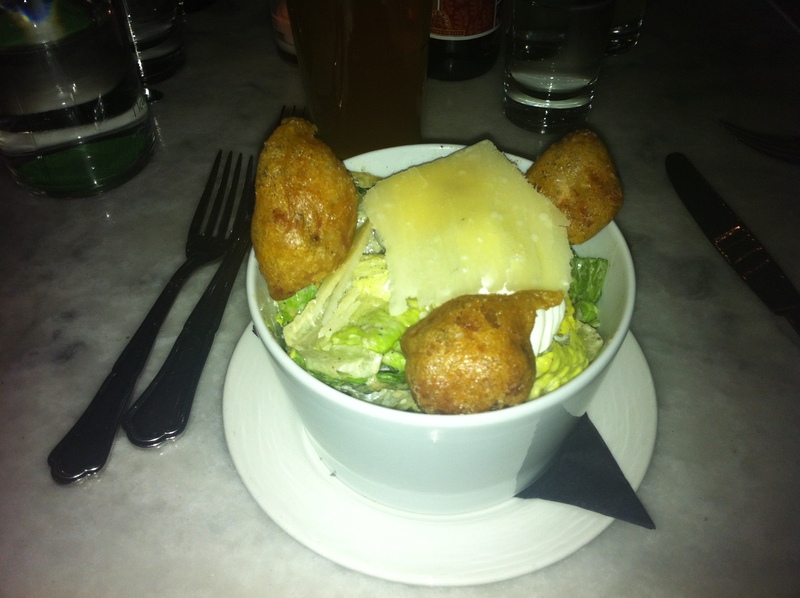 The one that looked the best was actually something I could never see myself ordering – Caesar Salad. But wait, before you chastise me, let me tell you that this salad comes with chicken nuggets, bacon and a poached egg. I asked the waiter if I could order the salad without the “salad” part and he said it wasn’t possible. Damn it all. But then he went on to tell me that it was a pretty manly salad. Challenge accepted! I am nothing if not a man willing to try things. And try I did. The nuggets were home made and didn’t even resemble their distant cousins from Happy Meals. The bacon and poached egg were equally delicious. The cheese that came with the salad also added a nice touch. It wasn’t just some shredded parmesan, but crispy and delicious. The same could not be said for the lettuce itself, which I found wholly unnecessary. While it may have been a pretty manly salad (and I give Palihouse credit for making salad interesting), it would have just been so much better without that damn lettuce. 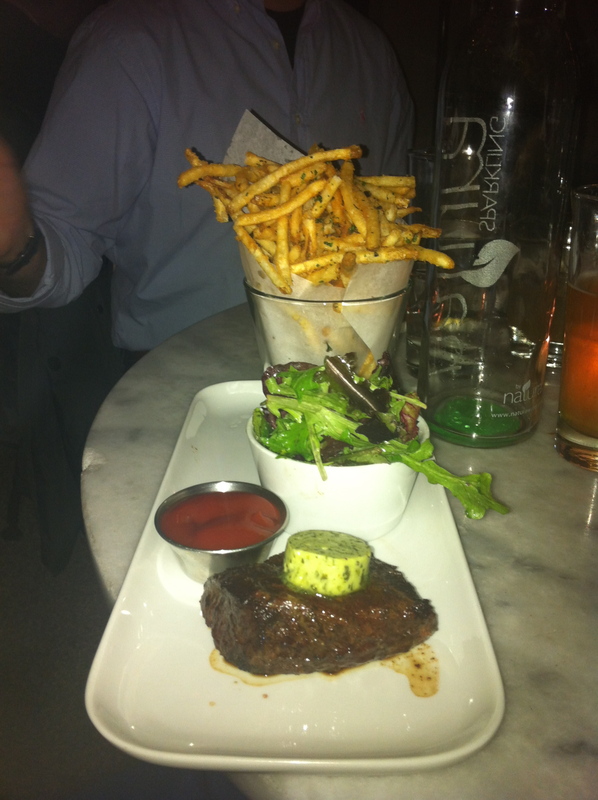 …Steak Frites instead. This thing was a 6 oz. hanger steak, topped with chimichurri butter and a petite salad. And, as a bonus (because the weren’t listed on the menu), it also came with fries. The salad had fortunately been relegated into its own bowl and I didn’t have to deal with it. I’d ordered this at a medium rare and it came out cooked perfectly. Although the hanger isn’t typically the best cut of steak, this one had some great flavor and was quite tender. The chimichurri butter was a nice touch and added some good flavor as well, but like I said, the steak itself tasted surprisingly good on its own. The bonus fries were a great side, nice and crispy. Finally, there were the desserts. Our choices were House Made Oreo Cookies or the Chocolate Muffin. The four of us ordered two of each to share and they turned out to be pretty unique. The oreos were elongated and came with a strawberry milkshake for dipping or simply drinking. 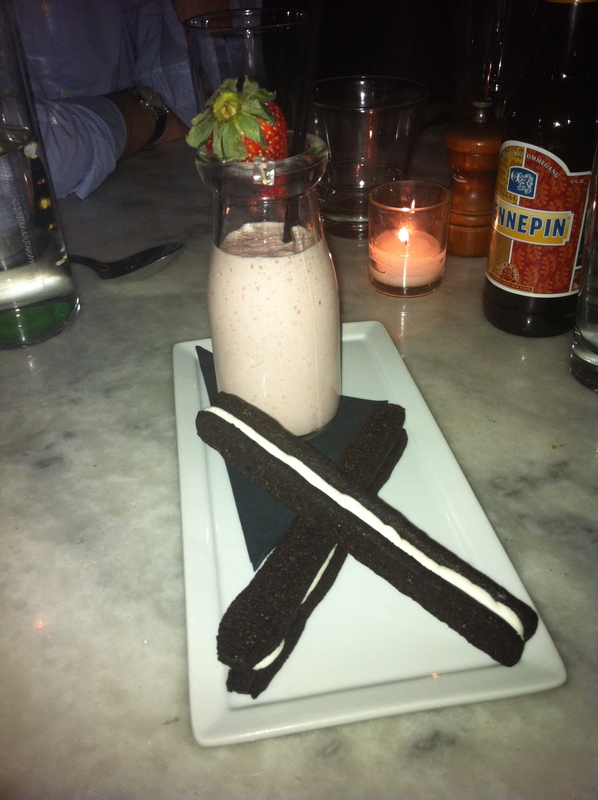 This was definitely my favorite of the two desserts, as I loved the shake and cream filling. The cookie part itself was a bit rich for me, but nothing compared to how rich the chocolate muffin was. To call it a muffin is really a misnomer, as it was really a pile of chocolate cake in a bowl. 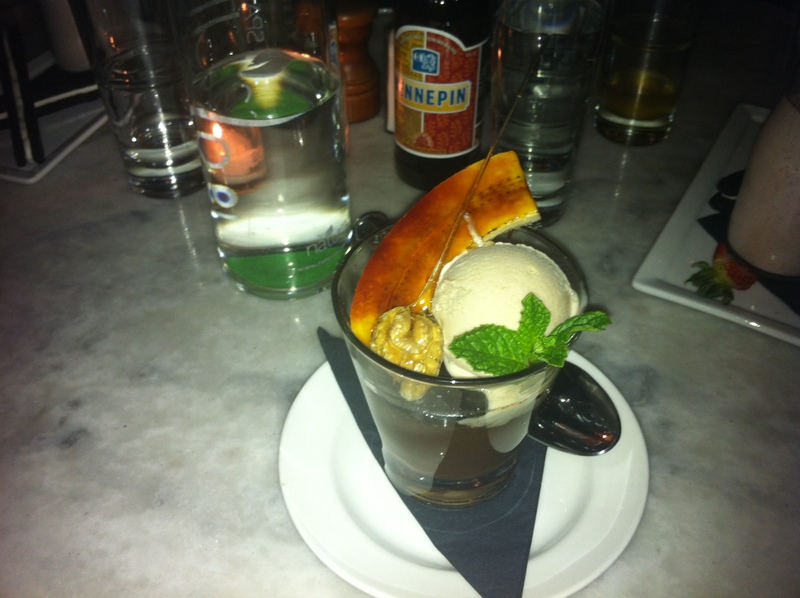 It came with a carmelized banana, walnuts and banana ice cream and after a few bites, I was done for. I call this dessert richie rich. 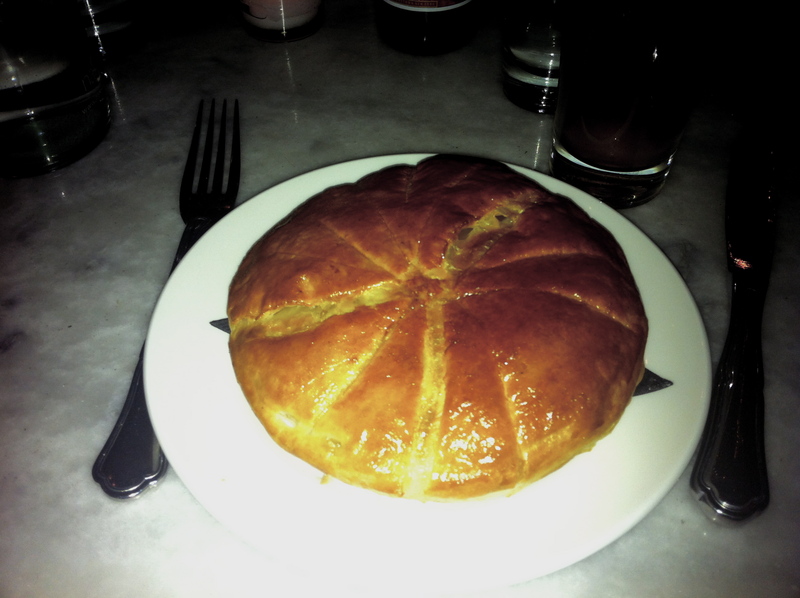 Palihouse turned out to be a better dineLA meal than I had expected. While the menu could have used more unvegan options, those that fit the bill were quite good. And the one that didn’t fit the bill was at least a nice attempt. I am not really in a position to judge the dessert because I’m not much of a dessert person. However, if they toned down the richness, I think they could have made the desserts more accessible to people like me. Having tried a fair amount of their menu now, I’m not sure that I feel the need to return to Palihouse, but I definitely recommend it for anyone looking to mix things up during Restaurant Week. 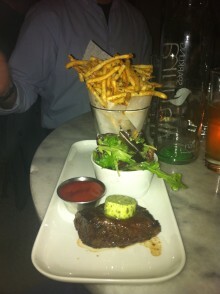 And here I thought that “steak frites” meant thinly sliced steaks that kind of resembled fries. Oh snap.